As a Roman Catholic campus minister at a state University here in the US, I find that the challenges and opportunities are very similar to all that Ryan Multer mentions, with the added beauty of outreach both to the unchurched as well as the non-Catholic. We are indeed, ‘Ambassadors of Christ’ in every sense ‘giving a reason for our hope.’ This is not simply a pious platitude; rather, it is our nature and purpose. Consonant with Christ’s exhortation to his disciples, “You give them something to eat” (Mk 6:37), a great mentor friend once reminded me that “campus ministry is catering!” Whether it is BBQ’s, breakfasts, picnics, snacks, the fellowship that is shared around food is an excellent start, middle, or finish to the fellowship that creates, blossoms, and binds Christian brother and sisterhood. But this isn’t catering in its truest sense, taking Christ at his word: “YOU give.” Instead, we campus ministers provide the means for student peers to feed each other form their own handiwork. At secular schools, the witness to Catholicism also calls for a diminishment of the “Catholic intramurals” that seem to be perplexing much of the church today. The debates and posturing of the devout along the so called lines of progressive, conservative, liberal, traditional, must ‘diminish so that Jesus Christ can increase…’ Paulist founder, Servant of God, Isaac Hecker wrote of his evangelization target: “Ernest the Seeker.” That has not changed, except today we may say Ernestine and Ernest the Seekers! The increased availability of the new technologies demands greater responsibility on the part of those called to proclaim the Word, but it also requires them to become more focused, efficient and compelling in their efforts. Priests stand at the threshold of a new era: as new technologies create deeper forms of relationship across greater distances, they are called to respond pastorally by putting the media ever more effectively at the service of the Word. We missionaries have much to learn from the “locals” in this digital word. We stand with Paul on a new Aeropagus with new Barnabases, Priscas and Aquillas. And we do what comes naturally: give a reason for our Hope. Fr. 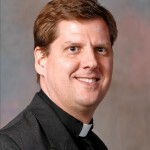 Charlie Donahue, CSP, is the pastor of the John XXIII University Parish Catholic Center at the University of Tennessee in Knoxville..